During project conceptualization, it often makes sense to plan a project’s expenditures on a single line to get a sense of where a project falls within the organization’s short and long-term plans. During this phase, an organization might take a first pass at prioritizing projects based on its strategic initiatives and expected available budget. Later on, as the project takes shape, users input its summary financials into the system as Revenues, Cost Savings, Labor Expense, etc. Management evaluates the full project financials and measures like IRR, NPV, ROI, and Payback Period through the vetting and approval cycle. Once approved, users input the project’s detailed level budget and forecasts into the system. Then, as actuals come in, they are loaded into the system so that they can be compared to budget and forecast, providing for accurate and integrated forecasts. Moreover, because all three levels of input communicate, users can adjust their forecasts at the detailed level, and those adjustments roll up to be reflected at the higher levels as well. Some organizations may even want to plan the labor in their capital projects by hours using wage rates from their HR system. This is another area where embracing integration in planning can make an organization more efficient. 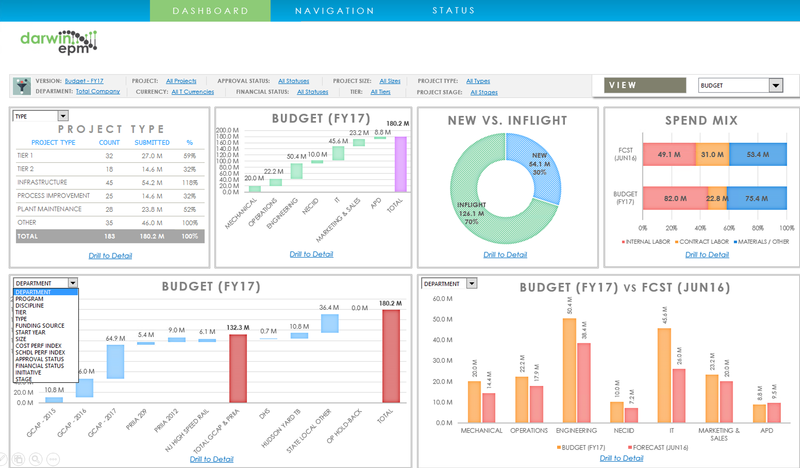 Dashboards and reports enhances efficiency in analysis at both the individual project level and the organizational level. For many successful organizations, the “icing on the cake” is fully integrating Project Planning with Asset Planning. This empowers finance organizations to not only project capital cash flows, but also the impact of capital project assets acquisitions, retirements, etc. on depreciation in the income statement. In conclusion, at any point in time, projects might be in different stages of conceptualization, approval, and execution. 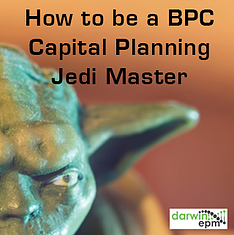 Using BPC to implement an integrated approach that allows these processes to run concurrently, seamlessly and with visibility throughout the organization is the key to optimizing your capital planning process. For more information on Darwin EPM's Capital Planning solution contact us!